Offering a comfortable swimming experience and impressive quality with semi-rigid exoskeleton design, the Aqua Sphere K180 swimming goggles have a smooth, hydrodynamic shape with curved lenses to ensure excellent clarity. The lenses are orange tinted and provide unhindered, peripheral vision, whilst enhanced leak resistance and soft comfort comes from innovative Softeril® gasket. The goggles offer super comfy, customised fit with easy-adjust head strap, as well as interchangeable nose bridges (three included). for submitting product information about Aqua Sphere K180 Swimming Goggles - Orange Lens We aim to answer all questions within 2-3 days. for submitting product information about Aqua Sphere K180 Swimming Goggles - Orange Lens. We aim to answer all questions within 2-3 days. If you provided your name and email address, we will email you as soon as the answer is published. 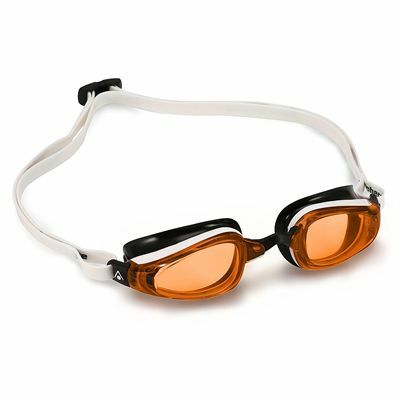 for submitting product review about Aqua Sphere K180 Swimming Goggles - Orange Lens.